Wellness and Travel - is Arundel the Most Relaxing Destination in Europe? 2 So, Miss Local, What Makes Arundel So Special, Then? 6 So is Arundel the Most Relaxing Destination in Europe? 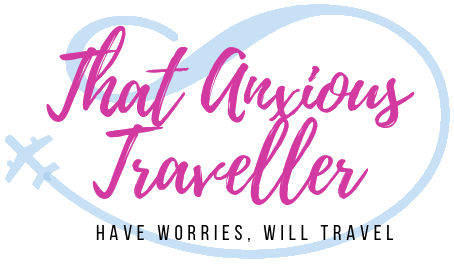 You may well have seen the term ‘mindfulness’ popping up with increasing regularity in the past few years, especially in connection to travel. If you’re not aware of exactly what it is, simply put, it’s a form of mediation which helps you to live in the present. Whilst this might sound a strange concept, being that it’s physically impossible to live in the past or future (otherwise I would totally be living it up in the year 3000 with my hovercar), living in the present can be a tricky thing to do – especially for those of us who suffer with anxiety. Living in the past is too tempting, musing endlessly on things we should’ve done differently. And living in the future can lead to a lack of activity in the present. In either case, it can be difficult to achieve simply relaxing and enjoying life as it currently is. Travel dovetails nicely into this concept – I don’t know about you, but when I travel, I feel fully in the here and now. I’m not thinking about what I was doing before I left, and I’m sure as hell not thinking about going back to normal life after my trip is finished! I feel fully engaged in my surroundings, and the present moment. The newness of everything around me, unique moments and cultural experiences, distracts me from whatever anxieties were previously on my mind. Basically, travelling is a bit like achieving instant mindfulness, without having to go to meditation classes or downloading an app. So I was quite intrigued to see this Mindful Getaway Guide by TravelSupermarket which named Arundel, a small and largely-unsung town in the south of England, as the most relaxing and mindful destination in Europe. It beat the likes of Capri and Ischia in Italy, Skyros in Greece, and Ibiza in Spain; places with blue skies and bluer seas. It beat the famously-restoring Baden-Baden in Germany. And it grabbed my attention for one very special reason. I’ve lived on the doorstep of Arundel for pretty much my entire life. So, Miss Local, What Makes Arundel So Special, Then? I admit: when I first saw that Arundel had been named the most relaxing destination in Europe, I was actually slightly dismayed. The first reason being that more people will come to Arundel, and I worried for its peaceful vibe. But that’s a bit selfish – the town deserves visitors, and can certainly handle them with no loss to the atmosphere. My second worry was that if it’s literally the centre of all things relaxing on the entire continent of Europe, and if I’ve lived a stone’s throw from it for the whole time I’ve been toddling around on the planet, but I still have anxiety, what chance do I have?? My immediate thought was “crap, this is as good as it’s ever going to get!”, and immediately had an anxiety moment about it, involving much biting of nails. But the more I thought about it, the more I realised that the report was correct. I genuinely do feel a sense of calm when I pop over to Arundel. It’s my happy place. I don’t go to shopping malls when I feel a bit frazzled; I go to Arundel and go for a walk, or have a poke around antique shops. Since the age of about 8 or 9, I have insisted on going to Arundel on my birthday, to go and feed ducks, play a round of pitch and putt golf (alas, I’m some way off the pro women’s tour…), or eat in one of the many superb restaurants. Somehow, I’ve known since I was a kid that Arundel is basically one of the most relaxing and awesome places on the planet. I think that when you’re a local, it’s easy to overlook some of the places around you, because they’re so familiar, but when you step back and really look at them, you really just how amazing they are. Arundel is one of these. But what are the elements which make this small town, which you’ve quite possibly only heard of unless you have an abiding interest in cricket, or history, quite so special? The Mindful Getaway Guide marks each location on three criteria – Sites, Setting, and Relaxation. So let’s have a look at these in turn. Let’s face it, when you’re travelling, the best sites are ones with a bit of history. A splash of local colour; something that really brings home how life is here, and how it’s been previously. A bit of culture. You want history? Arundel has a great big slice of history cake, and will happily smush your face right into it. The town sits in a commanding position in the South Downs, a range of hills stretching across the country south of London, and so was strategically placed back in Ye Olde England for keeping an eye on pesky invading armies and the like. And so Arundel Castle came into being, a stronghold in which to spot said pesky invading armies, and hopefully pepper them with a few well-placed arrows. It looms over the town like a protective guardian, the town nestling comfortably against its walls. Established on Christmas Day in 1068 (a mere two years after William the Conqueror became King of England at the Battle of Hastings, also in Sussex), it has been home to nobility ever since, and has been in the hands of the Dukes of Norfolk for the past 400 years despite being extensively damaged during the English Civil War. Modern-day visitors are treated with being able to look around the public rooms (the duke is in residence in the rest of the building, and the entire castle is closed during the winter. Part of the view from the bailey in the middle of the castle is blocked in order to give the duke and his family a bit of privacy), including the suite of rooms occupied by the Empress Matilda during her stay in 1139. There’s also a bedroom occupied by Queen Victoria, with a surprisingly-tiny bed, an impressive collection of swords in the armory, and beautiful surrounding gardens. 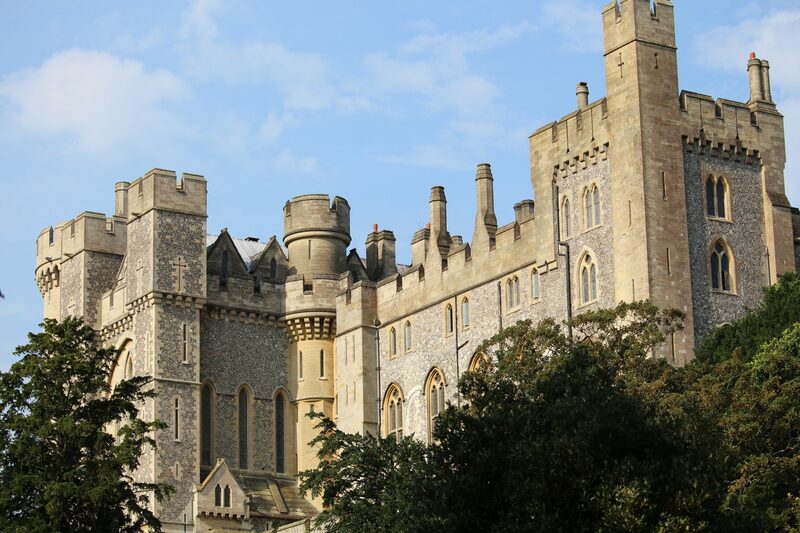 Make sure not to miss the interesting Fitzalan Chapel in the castle grounds opposite Arundel Cathedral, the final resting place of a huge number of the Fitzalan and Howard families, and decorated with fine stonework. The town itself retains a great deal of history from its beginnings as a busy market and port town, notably the Blackfriars ruins opposite the castle entrance, which date from the mid 13th century. The high street reveals a mixed bag of historic architectural styles, some surviving from the 16th and 17th century; look up towards the roofs to really take in the many varied details of the buildings in this area. Arundel Museum does a good job of displaying the town’s past – the building may look small, but it’s jammed from floor to ceiling with information. And entrance is only £3; in my experience, the friendly staff are happy to mark your ticket for a free return visit if you enter near to closing time, and don’t have enough time to see it all. Arundel Cathedral occupies the highest point in the town (go up the high street and turn left; if you start getting out of breath then you’re going in the right direction), and is another of the town’s treasures. Constructed in 1868 thanks to the patronage of the Howard family, it is a fine example of the French Gothic style, and contains in a shrine the remains of Saint Phillip Howard, 1st Earl of Arundel. Sent to the Tower of London in 1585, along with his faithful dog, both are remembered with a statue inside the cathedral. The South Downs, in which Arundel resides, is a UK National Park, and fittingly spectacular – the views from the castle bailey are quite stunning. But why just look at the views when you can walk around in them? The town and surrounding area are ideal for walking and cycling, and trust me, nothing is going to get you more mindful and in the moment than this. On a summer’s day, with the sunlight sparkling through the branches of gently-waving trees, and the scent of warm chlorophyll on the air, there’s genuinely few places I’d rather be. Go for a walk along the banks of the River Arun, butterflies fluttering through the long grass, gentle cows watching dog walkers, and small boats chugging along the water – it’s all the therapy I need. Heading down Mill Road towards Swanbourne Lake provides a scenic mill stream on one side, and open fields leading to the river on the other. Mill Road also provides family amusements, with a popular playground, the aforementioned pitch and putt golf course (which also has a small garden frequented by a fairly dazzling amount of local songbirds, and last time I was there, a baby bunny), and the Arundel Wetland Centre – home to countless bird species – non-captive – and a colony of quite adorable water voles. Swanbourne Lake is perfect for a gentle walk around its shores, or for taking a rowboat out on to the water, but also serves as a gateway to the South Downs National Park with it’s countless walking trails – perfect for true mindful travelling! The park’s website provides many suggestions for walks, but my personal favourite is to ascend the Downs and take in the views of rolling hills, before descending to follow the River Arun to neighbouring town Amberley. It’s a gentle but decent walk, so you should absolutely no shame in popping in for lunch at the excellent Bridge Inn, previous holder of the West Sussex Pub Of The Year award. I recommend the Bridge Burger, and expect a generous portion – if you get through the whole thing, then you’re doing better than me! After all that walking, it’s time for a bit of relaxation. And you’ve come to the right place! First and foremost is a branch of the renowned Green Gate, a London company whose products were previously available only in the shop of choice of the rich and famous, Harrods. Want to stock up on organic health drinks, teas, or vitamin supplements with ingredients which come from the Himalayas, Japan, and the Andes? This is your one-stop shop for wellness. You might want to enjoy these treats in the comfort of your hotel; a good number of the hotels in the area offer spa treatments, especially the luxurious Bailiffscourt Hotel. It has an infinity pool. You know you want to. But if you’re looking for something on a slightly smaller budget, what about the simpler relaxations? Go to the high street. Arundel holds up very well for shoppers and souvenir hunters – antique shops dominate the town. Don’t miss the excellent Kim’s Bookshop, which is probably my favourite shop in the world. It’s a converted house – though being on the high street in a historic town, it’s probably been many things during its life – and is four floors of used book heaven. And not just used books; it also stocks beautiful ornate copies, antique editions, as well as everything that the good folks of Sussex have traded in. History, foreign languages, childrens, fiction, sport, militaria – name a subject, Kim’s probably stocks it. Arundel also has a great selection of places to eat – the sweet-toothed should definitely visit the family-run Castle Chocolates on Tarrant Street, where I have spent many happy moments, and usually emerge clutching a bag of handmade fudge or coconut ice. 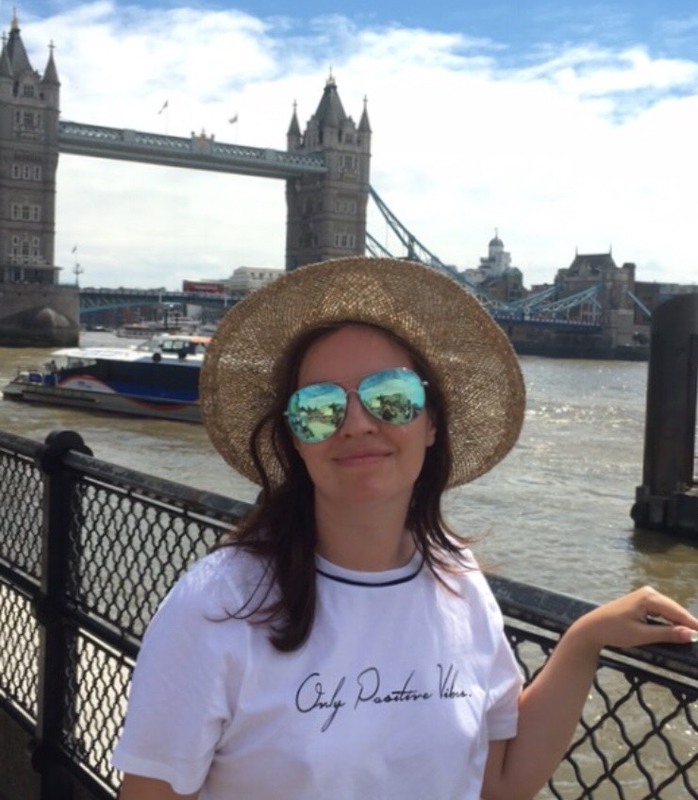 The always-busy Moathouse Cafe and Belinda’s Tea Room give plenty of lunch options, whilst my favourite food memories have occurred at Pappardelle, an Italian restaurant/osteria which is busy with locals at all times of the day. And with good reason: the food is absolutely delicious! The carbonara is out of this world. Trust me on this one. So is Arundel the Most Relaxing Destination in Europe? I cant’t say for certain – no-one can, without visiting literally every town and village in Europe, and good luck with that travel budget – but I really do think that it could be up there. I admit that I’m biased – I’ve loved the town for many years, after all. Normally, this would mean that my view on the place would be rose-tinted, clouded by local pride. But in this case, I think that Arundel proves itself because I’m so fond of it. It’s so easy to be complacent about the locations that you know well – you barely see the details anymore. But Arundel is always bright in my mind. Throughout my travels, I think it’s still the place that I would most like to retire to one day; it has not been diminished by any of the other beautiful places I’ve visited. Every time I go there, I feel refreshed, well and relaxed. There’s something very special about Arundel. Come and visit, and discover the magic. All photos taken by me – no filters! Have you been to Arundel? What did you think? Or have I made you want to visit? Let me know below! What glorious pictures! You’ve certainly taken me there with the tranquility and the beauty (despite a tax return nagging at my heels…). I remember loving Arundel when we visited, although I’ve not spent nearly enough time there. We might need a day for the book shop alone. Definitely an addition to my weekender list. Thank you, Bernie! 🙂 It’s definitely worth a weekend; there’s plenty of hikes and interesting places in the area aside from Arundel itself (the bookshop is definitely one for a long browse!) Good luck with the tax return too! Oh, this looks just lovely! I want to go to Arundel now! Ohh, I hope you do! It’s a real hidden gem! I’ve never even heard of Arundel until your post, but it looks so gorgeous! It can be tough to share gems like this with the world, but I hope that those who do visit respect its peacefulness. I would sure love to come visit and stroll the gorgeous alleys, admire the architecture, and pop into the shops! Yes, come and visit! 🙂 And I know what you mean – it’s always a bit of a dilemma bringing attention to somewhere that’s so peaceful, but it really does deserve some love from an international audience – it’s not even that well known within the UK! This takes me back to growing up. This was our little trip out when visiting my Gran!!!! Looking at your pictures, I think I need to go back as a grown up! That’s great! I’m glad I could bring back good memories for you! 🙂 I think our favourite places in the world are often the ones we have good childhood memories of, and Arundel definitely fits the bill! In New York and could use a little mindfulness in my life. Too often we get caught in the past or project to the future and fail to live in the present. So I think this would be an amazing place to explore!! Thank you! <3 I completely agree, and it's an ideal place to just relax in - pretty close to London Gatwick Airport, too! But not too close; no pesky aircraft noise! 😉 And I LOVED New York when I visited there! It's such a vibrant place - definitely want to go back and explore more! Love Arundel and it’s right on my doorstep too. I’ve been for a couple of lovely walks along the river recently when the sun has been out. Had a great pub lunch at the White Swan after one of them.